Living rock and roll legend Chuck Berry will be performing live at the Palacio de Deportes in Santa Cruz de Tenerife on 28th March. Tickets cost €25 and €45 euros. 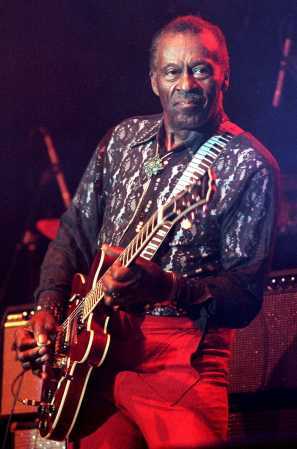 According to music critics, Chuck Berry is the most important and influential songwriter of the rock and roll era. An accomplished showman, he created his own original style, gave rock and roll a following and became known as “The Father of Rock and Roll”. Between 1955 and 1959, he recorded over one hundred songs, which became major hits and in the 1960s and 1970s, Berry’s music was the inspiration for groups like the Rolling Stones, the Beatles and many others. Chuck Berry’s career includes classic tunes that have made musical history such as “Roll Over Beethoven”, “Too Much Monkey Business” and “No Money Down”.